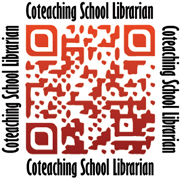 Contribute: Earn this badge by contributing your experience coteaching a lesson plan from this book. Coteaching Reading Comprehension Strategies in Elementary School Libraries: Maximizing Your Impact can help classroom teachers, teacher-librarians, literacy and instructional coaches, and specialists of all kinds work together to improve instructional practices in their elementary and K-5, K-6, or K-8 schools. * Downloadable graphic organizers, rubrics, and sample student work for each lesson. This book is a revised edition of Collaborative Strategies for Teaching Reading Comprehension: Maximzing Your Impact (ALA Editions, 2007).